The roots of BMW are carved in history as quality manufacturers of aircraft engines which began in the early part of the 20th century. Today's logo is still a representation of a spinning propeller. Following the First World War, the Peace Treaty of Versailles banned the production of such engines so BMW, who had a reputation as a quality engine building company, began to build engines on a much smaller scale. From their aircraft engine experience, BMW were quite familiar with pistons operating opposite each other so they designed a horizontally opposed two cylinder engine with the cylinders fore and aft. BMW supplied the Victoria motorcycle company with this engine. 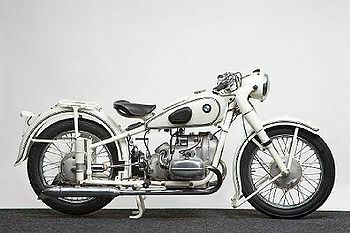 In 1923 BMW went on their own to build their own brand of motorcycle realizing the need for quality in the marketplace. Aircraft engineer, Max Friz, designed the more commonly known transverse horizontally opposed twin cylinder engine, an engine design that BMW still uses today more than eighty years later. Within a year of the original engine design they had almost doubled the horsepower due to the introduction of overhead valves in the flat twin. 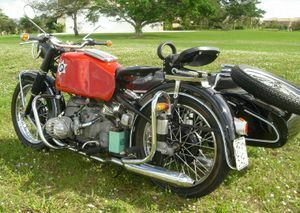 The BMW R51/3 was BMW's first modern postwar 500cc motorcycle. It used BMW's time-tested boxer engine layout and exposed driveshaft. 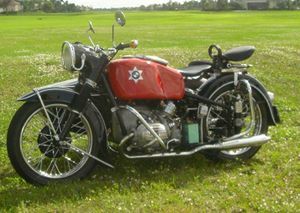 The R51/3 succeeded and modernized the 1950 R51/2, which was essentially a prewar design that was produced after the war. 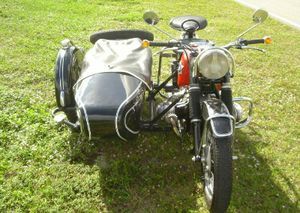 Following World War II, Germany was precluded from producing motorcycles of any sort by the Allies. When the ban was lifted, in Allied controlled Western Germany, BMW had to start from scratch. There were no plans, blueprints, or schematic drawings. 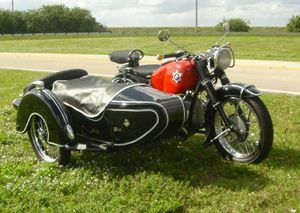 Company engineers had to use surviving prewar motorcycles to create new plans. 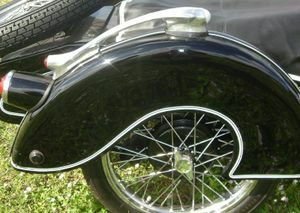 In 1948, it introduced the 250cc R24, which was essentially a pre-war R23, complete with rigid rear end. 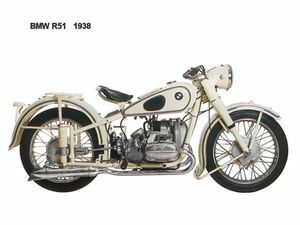 When larger machines were permitted, BMW introduced its R51/2 in 1950, a model that was in production for only one year and that was essentially a prewar BMW produced after the war. The R51/3 was then introduced in 1951 for a production run of four years. The 600cc R67, sister model to the R51/3 and almost identical visually, was also introduced in 1951, but it went through two revisions. 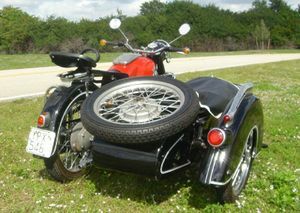 The R67/2, with 2 hp more, came out one year later and was replaced in 1955 by the R67/3, which was in production through the 1956 model year. 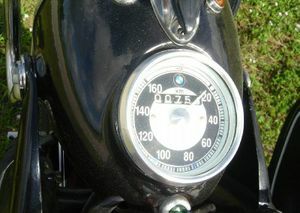 In 1952, BMW introduced the 600cc R68. 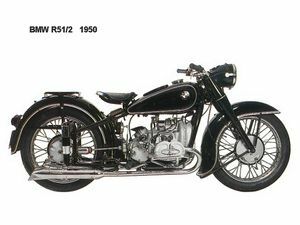 With 35hp and a compression ratio of 8.0:1, this was the first BMW production motorcycle that could reach and pass 100mph. This page was last edited on 20 January 2011, at 20:05.